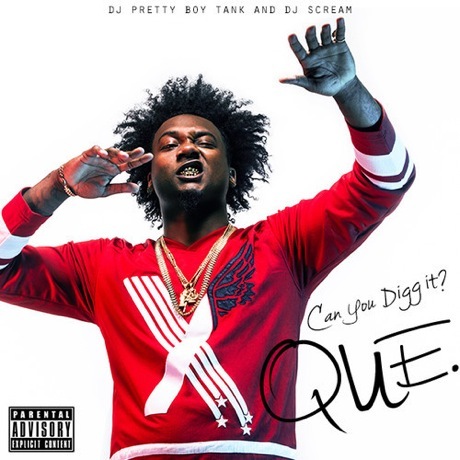 Atlanta-based rapper Que has queued up a new mixtape. Set to drop tomorrow (August 19), the release is called Can You Digg It? Before it arrives in full, we get a preview via a lyric video. "Rich Problems" is very 2014 with its DJ Mustard-produced, piano-led beat. It's a playful, memorable track, and sees Que team-up with human punchline factory 2 Chainz. Further, the lyrics are interpreted with a quick, colourful lyrics video. Check out "Rich Problems" below and check back for Can You Digg It? when it drops.